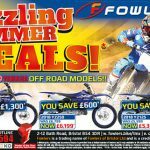 “Police operation follows fears about speeding bikers” and “Police urge residents to report nuisance bikers” are fairly typical of headlines that portray motorcyclists as irresponsible hooligans tearing around Britain’s roads. We’ve heard it all before and it’s really frustrating, because we know how hard it is to get a bike licence. 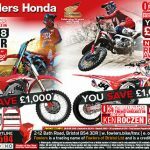 For the past 35 years, riders have had to complete TWO practical tests for a full motorcycle licence in the UK. Yet you still only need to pass one practical test for a car licence. 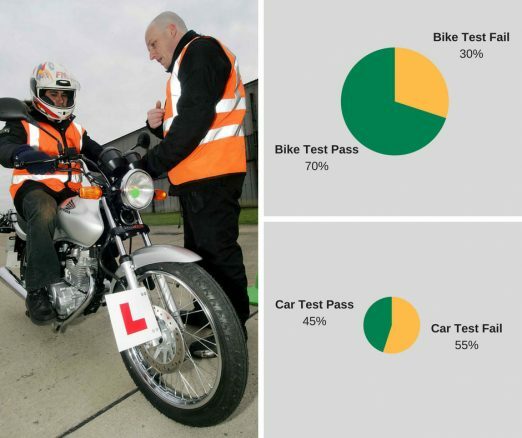 The bar is set much higher for bikers, so you’d expect a higher proportion of people to pass their car test. 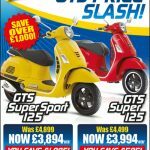 Recently–released government statistics show that between January-March this year, only 45% of people managed to pass the practical car test. That’s less than half who made the grade. 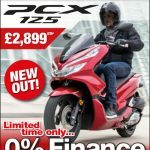 In the same period, more than 70% passed their bike test – 71% successfully completing module 1 (CBT) and a whopping 73% pass rate for module 2. We’re talking big numbers here, too. Nearly 10,000 people took module 1 tests in those three months and just under 9,000 attempted module 2. There you have it. Clear evidence that motorcycling attracts more competent road users than cars. We’ve known it all along and now we have the numbers to prove it. 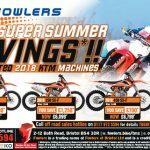 This entry was posted in News, Safety on 30/07/2018 by Fowlers News. 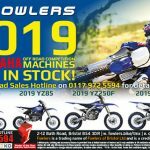 This entry was posted in KTM, New Bikes, News, Off Road, Offers, Piaggio, Press Advertising, Scooters, Vespa, Yamaha on 26/07/2018 by Fowlers News. 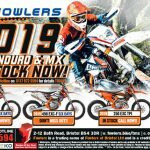 This entry was posted in Honda, KTM, New Bikes, News, Off Road, Offers, Press Advertising, Yamaha on 19/07/2018 by Fowlers News. 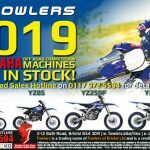 This entry was posted in Clothing, KTM, New Bikes, News, Off Road, Offers, Press Advertising, Yamaha on 12/07/2018 by Fowlers News. 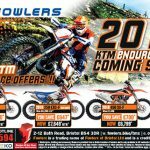 This entry was posted in Honda, KTM, New Bikes, News, Off Road, Offers, Press Advertising on 04/07/2018 by Fowlers News. Hipsters. They’re not proper bikers are they? 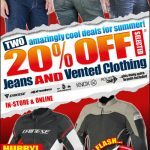 They don’t ride normal motorcycles and they don’t wear practical riding kit either. What exactly is a “brat style bobber” or “street tracker” and why did they build it out of a 1980s bike that was rubbish when it was new? They’re just posers and the whole scene is a fad, made to look more popular than it really is by advertising agencies trying to make boring brands look more fashionable! Or that’s what I thought, until I went to The Bike Shed event at London’s Tobacco Dock in May. You’ll struggle to find a trendier venue ( it’s an early 19th century warehouse) and the crowd queuing outside ticked all the boxes for hipster hairstyles, clothing and accessories (why are you wearing a bobble hat on a sunny day and aren’t you a bit old for a skateboard?). When I got inside, it became clear that I might need to rethink my position. Firstly, most of the crowd were much younger than the average age you’ll see at traditional bike shows. Secondly, they actually looked pretty cool and, thirdly, so did the bikes. Most of them would be ghastly to ride – what have these people got against front mudguards, have they never ridden in the rain? – but they’d look fantastic parked outside the artisan coffee shack. And maybe that’s the point. 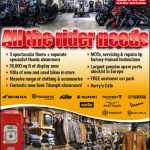 These guys are making motorcycling look like a cool thing to do and they’ve inspired some of the biggest names in the industry to create some really desirable bikes, like the BMW R nineT, Ducati Scrambler, Triumph Bobber and Yamaha XSR – all of them strong sellers. 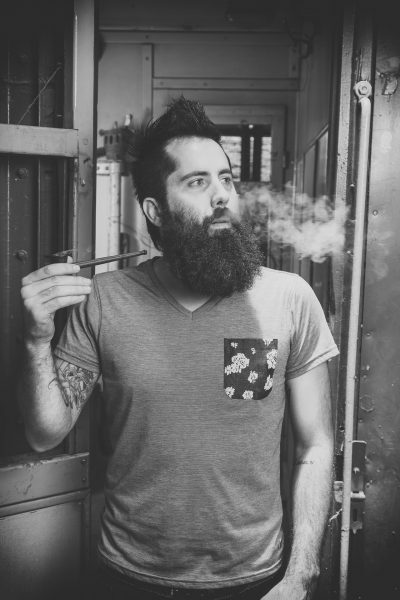 I might not be ready to grow a moustache and wax it or to fit some ape-hanger bars to my adventure sport bike, but I don’t mind saying “hooray for the hipsters” after all. This entry was posted in Uncategorized on 03/07/2018 by Fowlers News.